The Supreme Court on Thursday came down heavily on the West Bengal government for evading answers to its questions on the exact time needed for making available the requisite courtrooms and residences for judges to be appointed in lower courts in the state. 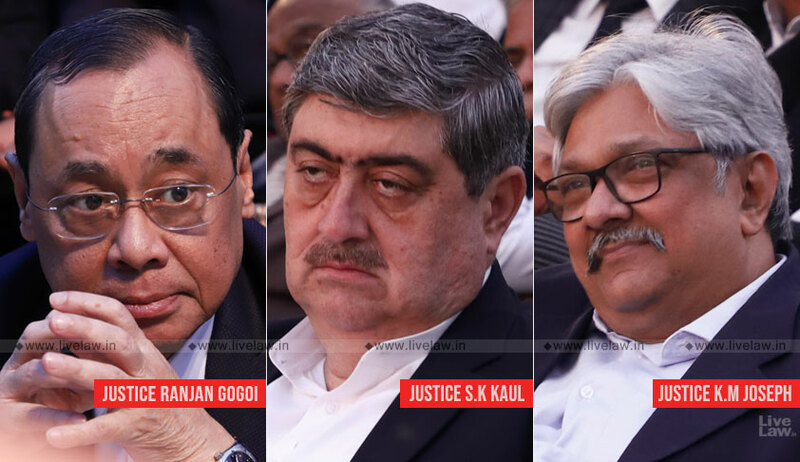 A bench comprising Chief Justice of India Ranjan Gogoi, Justice Sanjay Kishan Kaul and Justice KM Joseph then directed the Chief Secretary, Government of West Bengal and the Additional Chief Secretary, State Finance Department, along with the Registrar General of the High Court to remain personally present in court on the next date of hearing. During the hearing, the court took note of the affidavits filed by the Chief Secretary and the Additional Chief Secretary, Finance Department, pursuant to its order passed on November 15. Both the authorities had submitted that for projects involving financial implications of less than Rs.10 crores, the sanctioning authority is the Secretary of the Judicial Department of the State of West Bengal. For projects involving financial implications of more than this amount, the approval of the State Government is required. The affidavits had further referred to a meeting held on November 20, when consensus had emerged that there is no shortage of funds. The Chief Secretary’s affidavit had also referred to a letter dated November 22, sent by the State Government to the Registrar General of Calcutta High Court, seeking details or proposals submitted by the High Court to the State. The court, however, pointed out that in its order passed on November 15, the two authorities were directed to inform the court the date when the projects under construction—75 court halls and 39 residential units—would be completed and when the construction of 422 court halls and 630 residential units will commence. “There is not even any attempt to answer the said query,” it noted. The Registrar General of the High Court had also submitted a letter which he had written in response to the State’s letter dated November 22. The response letter, the court noted, contained a list of various projects which have been forwarded to the State Government for approval and the stage of these projects. Disappointed, the court noted that financial approval to some of the projects is pending since the year 2015-2016. This letter, the court asserted, “belies” the submissions made to it by the State authorities. It further ordered that in placing this information before the court, the Chief Secretary of the State will have to be mindful of the availability of finance not only for the present financial year but also for the financial years to come, and the possibility of the quantum of allocation that may be made in the budgetary provisions that will be tabled in the Assembly in the coming years. Furthermore, the court made it clear that the Chief Secretary is expected to indicate the time schedule “with precision”, and that he should also ensure that the time indicated is reasonable “so as to answer the crying needs of the judicial wing of the State of West Bengal”. The said affidavit has been ordered to be filed on or before December 4. The matter will be taken up next on December 5.